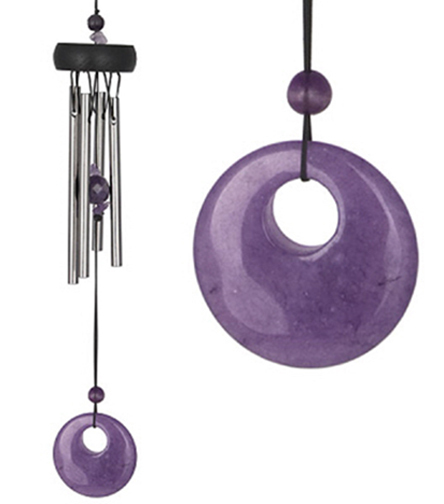 The Woodstock Precious Stones Chimes is a series of small chimes designed using colorful and meaningful accents. Our Woodstock Precious Stones Chimes Amethyst incorporates purple stones, making it as eye-catching as it is pleasing to the ear. Amethyst brings peace and calm to your life, keep it in your bedroom to bring on pleasant dreams.